20 March 2012: Infrastructure in the US is generally financed through sub-national capital financing vehicles, termed municipal bonds, which encompass the issuance of bonds by state and local governments, their agencies and quasi-public bodies generically termed special districts. While the term comprises issuers other than municipalities, the first bond of this trail-blazing genre was issued in 1812 by New York City. This pioneering debt instrument was a general obligation bond, which meant that it was backed by the taxing power and tax revenues of the issuers. A distinguishing feature of the US is its extensive use of municipal bonds (and notes) to provide for capital-raising needs. The nature of the market has evolved a great deal, as additional types of issuers and the bonds issued by them have developed. Reduction of public employees, outsourcing of services and service sharing were factors that helped governments keep costs down and avoid more severe financial actions such as defaulting on outstanding debt or declare an intention to seek bankruptcy. It has been argued that without the ability of state and local governments to issue debt - with the growth of revenue authorities as major debt issuers and wholesale providers of basic services  today’s America, as we know it, would cease to exist. Bond categories and their role in fiscal determinations. Generally, the two main categories of long-term obligations are classified thus: general obligation bonds that are secured by a pledge of the government’s taxing power; and revenue bonds that are secured by the exclusive (in most cases) pledge of project revenues. However, there exist hybrids of these two categories. Initially, US issuers were inspired by English innovations in the 17th and 18th centuries. Then, over the course of time, US issuers developed mechanisms far beyond anything that applied in England. 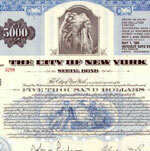 Whereas general obligation bonds were of the type issued the most in the early phases of the market, they have in recent times been far outpaced by revenue bonds (those backed solely by the revenue stream of a particular entity, generally user fees and service charges) and bonds issued by special districts. England also provided the early revenue bond model via its issuance of bonds for toll roads in the 1770s. The Port of New Orleans financing in the 1800s was the first expression of an authority to demonstrate financing in United States. Revenue bonds, in the US, were initially issued for capital construction, but are now applied to various other purposes. Until 1957 most revenue bonds were either for utility projects (their original use) or for local public housing projects. The early 1960s saw the expansion of this mechanism for financing purposes previously financed by general obligation bonds. In 1921 the landmark legislation for the first interstate authority, The Port Authority of New York and New Jersey, replicated The Port of London Act, drafted over three hundred years earlier - as noted by Robert A. Caro in a work about Robert Moses, a major force in the evolution of this market, entitled The Power Broker. The creation of this entity signaled the implementation of special districts with broad functional and territorial jurisdictions appropriate for a new era. Special districts have played an important role in the development of area-wide metropolitan facilities. In 2011, a new type of mechanism already being tried in the United Kingdom, that was designed to improve efficiency and performance of government initiatives, has gained interest in the United States. These Social Impact bonds originally introduced by the Labour Government of Prime Minister Gordon Brown are a new mechanism for attracting private investment for social programs. Only time will tell if they will gain traction over the long term. But, they are another illustration of how the municipal bond market continues to evolve over time. Further, there also exist proxy bond issuing mechanisms for those entities unable to gain cost-effective access (from a failure to obtain investment grade ratings) to the municipal bond market; or for those that find such a vehicle preferable for their use. In addition to long-term bonds, many issuers also use short-term note borrowing. This was especially so in the post-1960s era when the use of this option grew tremendously. In the United States lawyers play a pivotal role in representing all the parties involved in the issuance of a municipal bond (generally the issuers, the initial purchasers and the bank responsible for making payments to the investors). A key reason for this is the provision for a legal framework in the individual states of the United States that was borne out of financial ruin brought about by the unregulated and uninhibited issuance of municipal debt. Consequently, in the 1800s America suffered three successive depressions caused by the over- issuance of municipal bonds by states, local government and special districts between 1837-43, 1873-79 and 1893-99, respectively. It was to avoid the repeat of such a crisis that the first Constitutional restrictions were thereafter imposed on state and local government spending. Subsequently, further developments in the laws governing the issuance of municipal bonds were inspired by the individual histories of the states with this financing vehicle. For those reasons, individual states have some laws that are unique. Safeguards have played an important role in maintaining the stability of the market, reflected in the fact that the default rate did not exceed 1.1 per cent between 1940 and 1999 - despite the large number of bonds outstanding. However, as defaults and their associated financial crises (preceding or existing concurrently) are not a thing of the past, some states have moved towards ways of monitoring and/or managing the financial activities of their local subdivisions, agencies and special districts. Whereas between 1839 and 1969 there were 6,195 defaults, the vast majority (4,770) took place during the Great Depression. There were, however, 79 municipal defaults during the 1940s, 112 in the 1950s and nearly 300 in the 1960s boom years. As a result, the importance of credit and risk analysis started to play a more vital role in the eyes of the investment community, which in its early days was once dominated by institutional investors. Today individual investors instead dominate it. At the present time, credit rating agencies have been criticized for mis-rating bonds whose values crashed in the aftermath of the bursting of the housing bubble to the great detriment of the economy and municipal bond issuers. The modern credit rating industry grew out of various firms that began classifying bonds, mainly railroad bonds, by the late nineteenth century. By 1890, Poor’s Publishing Company, the predecessor of today’s S&P, was publishing Poor’s Manual, an analysis of bonds. In 1909 John Moody, founder of today’s Moody’s Investors’ Service, published his first rating scheme for bonds in a book entitled Analysis of Railroad Investments. During that period the rating agency market was more competitive and less monopolistic than its current manifestation. In the early period the revenues of these agencies came from charging investors subscription fees - hence, they did not charge issuers as they do today (and for some commentators the cause of the current crisis in their credibility lies in this change). Following the 1929 crash, the credit rating industry began a general decline as investors lost interest, owing in part to the agencies’ poor track record in anticipating the sharp plunge in bond values. The ratings business remained stagnant for decades until increased reliance on the rating agencies grew in the post-1960s, facilitated also by changes in Federal government policy of increased reliance on them. During the 1970s the nationally recognized statistical rating organization (“NSRO”) designation was established and various regulations began to rely on NSRO ratings thereafter. In the present day, when the credibility of credit rating agencies has been questioned (a result of how they rated subprime mortgage securities), municipal bond issuers have taken them to task for upholding them to a higher standard than corporate issuers, although they are less likely to default. This topic has gained in urgency because higher ratings mean less bond issuance costs, with the municipal bond insurer avenue to the same goal being affected by the credibility question as well in the credit crunch era of today (see discussion of bond insurance below). As noted in a Bloomberg article on this subject on 12 March 2008 which mentioned the letter by the California State Treasurer to Moody’s on 4 March 2008: “[p]erhaps the most serious charge leveled in the Lockyer letter is that the current system created the bond-insurance industry: ‘Municipal bond issuers have paid enormous sums to buy bond insurance that -- at least in part -- brought their ratings up to the level they would have been on a corporate, or global, rating scale.’'' [See: Mysak, Joe. “US States Revolt Against Muni Credit-Rating System. ”Bloomberg, 12 March 2008.]. Other commentators have noted that the crisis with the quality of credit ratings is rooted in the change in the incentive structure within the agencies. During the early 1970s, it was pointed out that the credit rating agencies abandoned their long-held practice of charging investors for subscriptions, and instead began charging issuers for ratings based upon the size of the issue. The failure of the agencies to keep abreast of market reality (as also accused by Chairman Bernanke of the Federal Reserve Board) has been blamed by some commentators on the fact that this created a conflict of interest and a bias in favor of issuers over investors. Ironically, the old payment model also produced a similar result in 1929. This perhaps indicates that the financial bubbles of that and present times led the agencies to become lax in their vigilance when they should have been extra vigilant in their scrutiny. Issuers that meet certain credit criteria can purchase municipal bond insurance policies from private companies. Insurance guarantees the payment of principal and interest on a bond issue if the issuer defaults. Bond ratings are based upon the credit of the insurer rather than on the underlying credit of the issuer. The municipal bond insurance mechanism began in 1971. Since then, the number of insured issues has expanded exponentially from only 3% of bond issues in 1980. The Association of Financial Guaranty Insurers, AFGI, the trade association of the insurers, claimed on their website that since the 1990s about half of new bond issues have been insured. Since the inception of such insurance in 1971, AFGI asserts that municipalities have saved more than $40 billion in borrowing costs through bond insurance, saving about $2 billion annually over the past decade. A municipal bond insurance policy may result in significant interest cost savings, depending upon the issuer's underlying credit and market conditions at the time of the bond sale. Interest cost savings are attributable to the higher bond rating as well as enhanced liquidity for insured bonds. Some types of bond are not generally insured, such as risky lower-rated issuers, (A or Baa-rated hospitals, nursing homes, development projects etc.) and the highest-rated issuers (who do not require insurance) as well as those who gain little added benefit from insurance because their credit is recognized (such as an Aa-rated state issuer which rarely purchases insurance because its credit is well-known). But an issuer not in that precise category would purchase insurance, even though an Aa-rating applied, since buyers would not necessarily be familiar with such credit. This crisis has also led to the failures in the variable bond rate market, known as the auction rate securities market. The biggest casualty of this so far is the potential bankruptcy of Jefferson County Alabama, which - if it happens - will be the biggest in US history (including the 1994 Orange County bankruptcy). Like Orange County, Jefferson County has been caught in the vice of its use of derivatives. The use of such vehicles by state and local governments was not reduced by the California county’s crisis and has instead exploded over the past decade - a symptom perhaps of their increased fiscal and structural challenges. The County was also punished in the collapse of the auction rate securities market due to the unwillingness of financial firms to maintain market liquidity. According to a recent Citigroup report this market (a $340 billion segment) will become a permanent casualty of the credit crunch crisis. [See: Johnson, Anastasija. ”US auction-rate market to disappear  Citi.” Reuters, 15 April 2008]. As a Bloomberg article on 11 April 2008 observed: ”Jefferson County played the derivatives game as part of financing a $3.2 billion sewer cleanup. The county engaged in a batch of interest-rate swaps with the banks that helped underwrite the debt, in a strategy designed to save the county and its taxpayers some money. The strategy backfired, demonstrating the speculative, risky nature of swaps.” [See: Mysak, Joe.”Largest US Municipal Bankruptcy Looms in Alabama.” Bloomberg. 11 April 2008]. However, an article by the same journalist on 15 April 2008 also pointed out: ”Jefferson County is in trouble for a combination of things, some its own doing - too much floating-rate debt, too many interest-rate swaps - and some not: downgrades to insurance companies, securities firms giving up on the auction market.“ [See: Mysak, Joe.”Court Case Is Lost in Cauldron of Muni Market Woes.” Bloomberg. 15 April 2008]. The municipal bond market has its own trade newspaper based in New York City, The Bond Buyer, which is a century-old daily. It is published Monday through Friday, except holidays. The Municipal Securities Rulemaking Board, as noted on its website, was established in 1975 by Congress to develop rules regulating securities firms and those banks involved in underwriting, trading, and selling municipal securities, bonds and notes issued by states, cities, and counties or their agencies to help finance public projects. The Board, composed of members from the municipal securities dealer community and the public, sets standards for all municipal securities dealers. The Board is a self-regulatory organization subject to supervision by the Securities and Exchange Commission (“SEC”). In the April 2008 issue of Governing magazine it was noted in an article that a former congressman from Orange County (the location of the biggest municipal bond issue in American history in 1994), Christopher Cox, the current head of the SEC, announced his opinion that federal regulation should be imposed over the issuers of municipal bonds. [See article: Lebov, Penny.“Muni Machinations” Governing. April 2008.]. Essentially the SEC Chairman would like to see the SEC regulate the way issuers disclose information and do their accounting. His view, as the article notes, is: ”State and local governments have $2.4 trillion in outstanding debt, but they are subject to less stringent debt-disclosure rules than private businesses are. State and local issuers don't have to follow accounting rules as set out by the Government Accounting Standards Board  even though private companies must adhere to the rules developed by GASB's corporate counterpart, the Financial Accounting Standards Board.” The irony here is that currently the SEC is being accused of not enforcing the Credit Rating Agency Reform Act of 2006 by the Association for Financial Professionals! [See: Johnson, Sarah and Tim Reason. “Are Rating Agencies Forever Broken?” CFO, 27 March 2008]. As the article notes: “[i]n letters to Securities and Exchange Commission Chairman Christopher Cox, the AFP has pleaded with the commission to ‘aggressively exercise its regulatory authority.’"
The ongoing financial crisis has brought new stresses to this market; which suggest that current safeguards need to be upgraded and perhaps new ones added. How this will transpire, if it does, is still to be determined. The US municipal bond market has thus evolved a great deal since its early period of development. It has moved from a fragility that was prone to boom-and bust cycles to one that has grown exponentially into a more stable market. It has been able to withstand the minority number of defaults that still occur from time-to-time, showing the need to be aware that changing times and challenges still make local issuers vulnerable to this danger, especially where they are not as prudent as they should be. *Mayraj Fahim, the author of this article, is a Senior Fellow of the City Mayors Foundation and its local government adviser. Her occupational focus in local government has been in the areas of municipal finance in the United States and in municipal finance monitoring internationally. 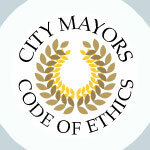 She also advises on local government reorganization in the United States and internationally. Her article 'Municipal bonds have been issued by US local government since 1812' was originally published by City Mayors in 2005 and updated in 2007, 2009, 2010 and 2012. The full version of this article together with reference and source material can be obtained free of charge by emailing the editor, with 'Municipal Bonds 2012' in the subject line. Please also supply your name and, if applicable, your organisation/company/academic institution. Historical default rates for municipal and corporate bonds rated by Standard & Poor’s. Cumulative default rates up to 2007 expressed in per cent.